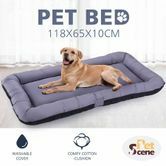 A comfortable pet bed is necessary because that will make him realize it has own place in your home, and good to know where they go to sleep. This large pet mattress is perfect for a medium or large pet, allowing them to stretch their body. 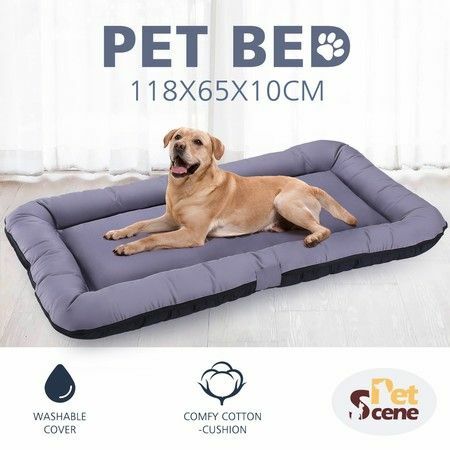 Made with durable a canvas cover and tough stitching, this pet bed ensures long-term usage if your pet loves to scratch or bite furniture. The cover can also be removed for washing. Additionally, filled with brand-new 400gsm hard cotton & 15D cotton, the bed is soft, comfortable, and not easily deformed. It is always good for a pet to sleep in their own beds instead of the cold ground. So get one for your cute pet now! Fast postage well packed thanks. Great value and fast delivery Thank you.